National-style K&K Passive Pickup System, the Pure Resonator BB installs on the top of the biscuit bridge, featuring a screw-mounted pickup for best possible sound transmission with maximum feedback resistance. We have found this pickup to be the absolute best! It reproduces the actual sound of the instrument, with no electronic coloration. The jack can be installed externally or internally. 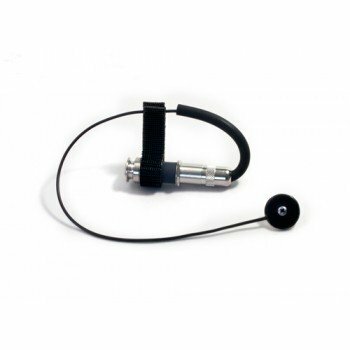 It is pre-wired to an endpin jack, including an external Dual-Lock Velcro fastening system. A flush mount nylon jack is supplied as well for optional internal installation. Made in USA.